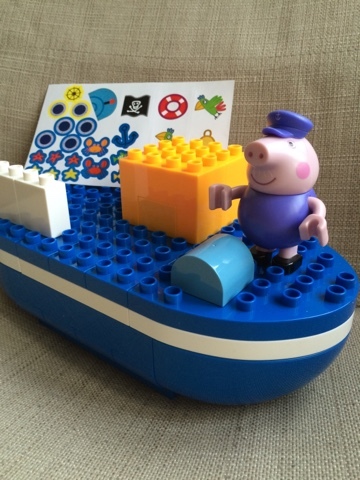 Emma in Bromley: Peppa Pig Construction Kits - Grandpa Pig's Boat Construction Set. 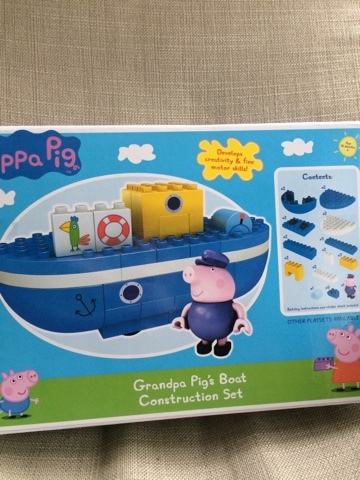 Peppa Pig Construction Kits - Grandpa Pig's Boat Construction Set. 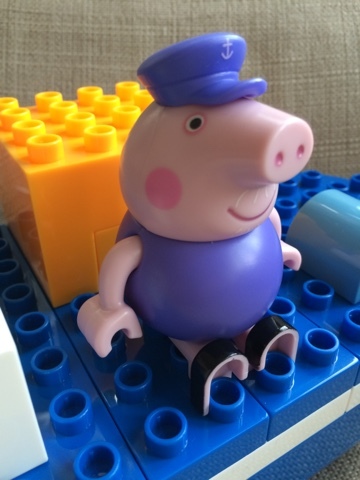 We all love Peppa Pig in our house so we were very excited to see the new Peppa Pig Construction Sets by Character suitable for ages 18m+ my children are 4 and 6 and love this set. We've started off with Grandpa Pig's boat and its very exciting! The box displays simply all the pieces in the box and its clear to see which figures you get in the set. 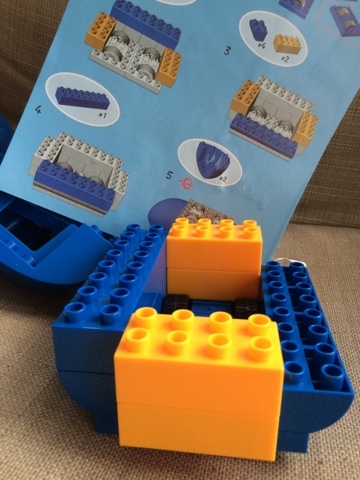 The instructions are easy to follow - the parts you have already completed are greyed out so that the colour focuses you on the step to be done - its really simple, Meg (age 4) was able to follow the instructions without any help. There are sticks in the set so that you can customise your boat - so much fun - everyone loved deciding what to stick where. 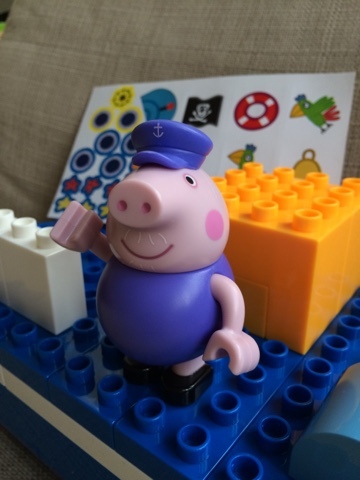 Grandpa Pig is a lighter shade than the boat and has articulated legs and arms and a moving head. We loved how much detail Grandpa Pig has - right down to his whiskers! 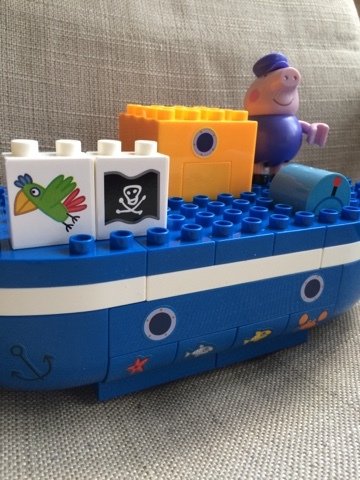 Great to Build and Play - the boat is free wheeling too! Do you like how we customised our boat? there had to be a pirate flag! and of course some fish! 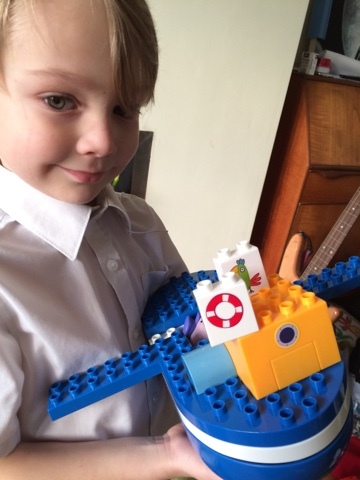 Blake (age 6) really wanted me to show you how easily he turned the boat into a flying rocket ship boat with wings! The fully constructed boat has wheels so you can push it around which is a really great feature. 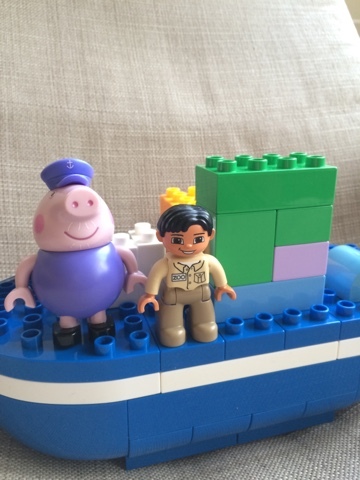 Just so that you can compare - we added some duplo - we found the bricks were compatible with the sets we have and I thought this image is a great way to show you the size of Grandpa Pig - he's bigger than a duplo character. Disclaimer: I was gifted a Grandpa Pig's Construction Set for my consideration. All thoughts and images are my own. Oh wow James would love this! May have to invest in it!